It is a labor of love for all of us volunteering to preserve and protect this historic park. The grounds continue to need tending. The sculptures are in need of primer and top coat. Events need chairpersons. We love what we do and why we do it. If you feel the same way about Desert Christ Park join us. One way to help continue restoration is to give the gift of supplies. We use a specific primer and top coat on each sculpture to preserve the exterior and seal it from the weather. Restoration of the Last Supper Facade will require water sealer and stucco work. Experienced individuals are welcomed to continue this project. 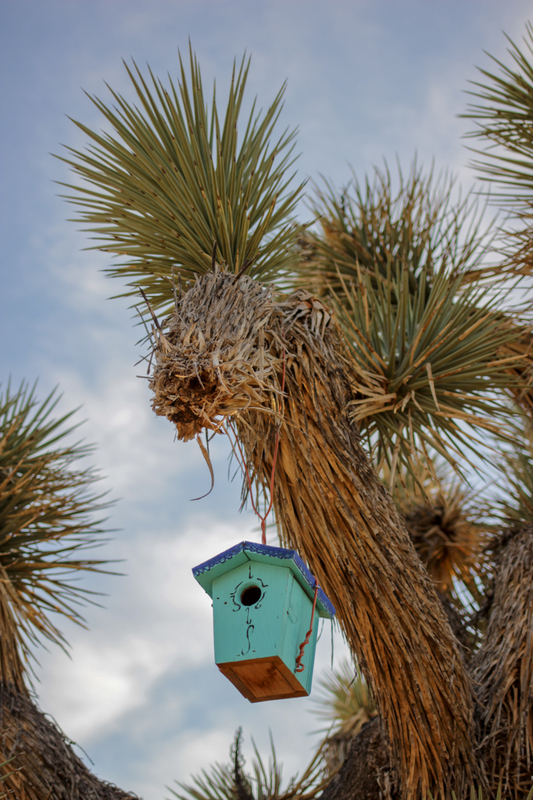 Yucca Valley's 4 seasons attract birds and birdwatchers throughout the year. Help us by donating a birdhouse or bags of seed. We are currently restoring the statues. Birds bring life to the park.